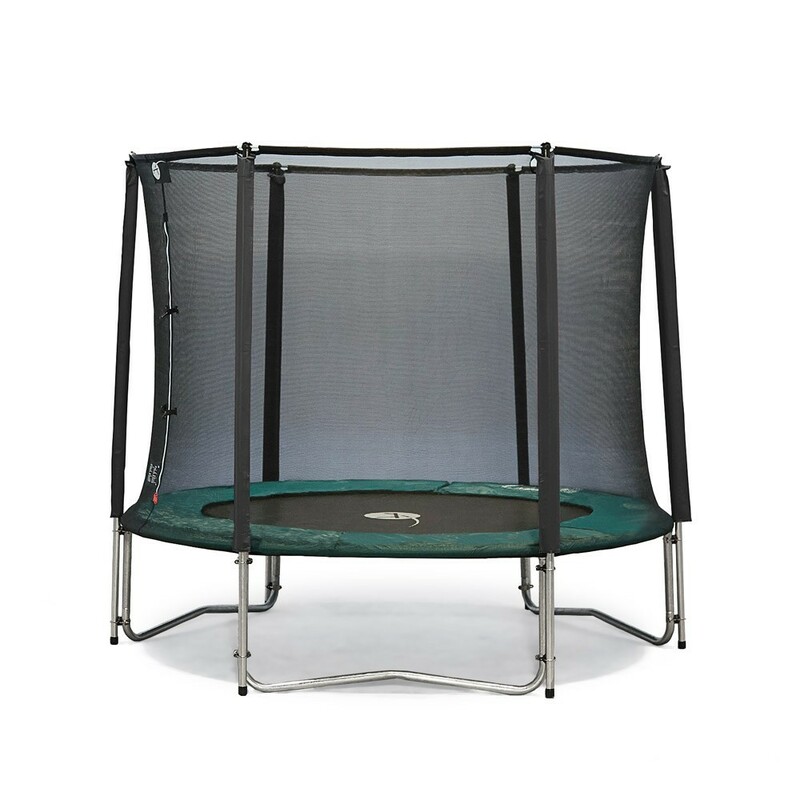 Family-sized trampoline of 2.44 m in diameter, ideal for small gardens. 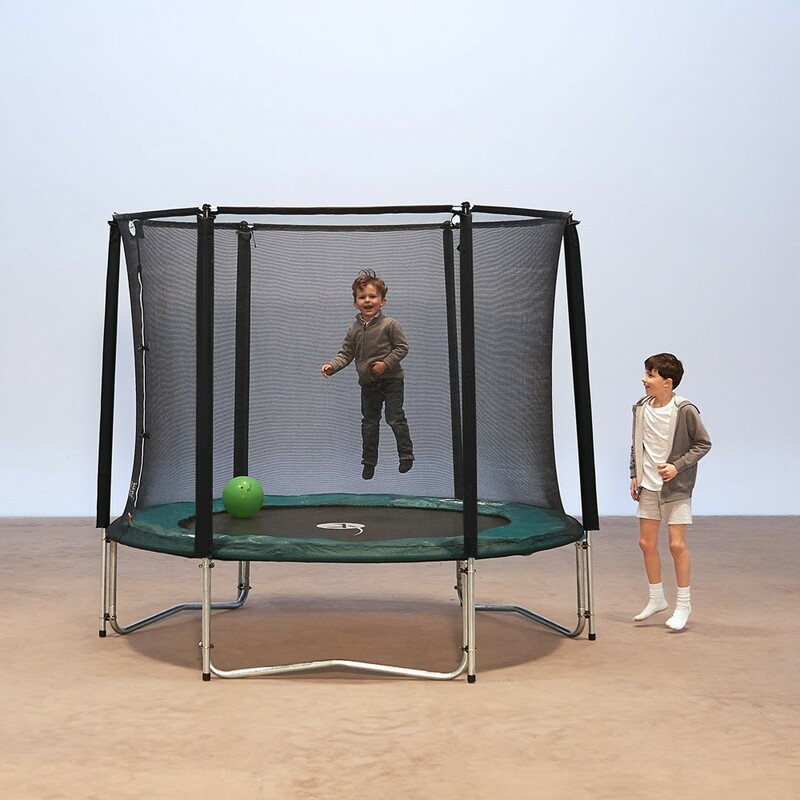 The Jump’Up 250 trampoline comes with its own enclosure. 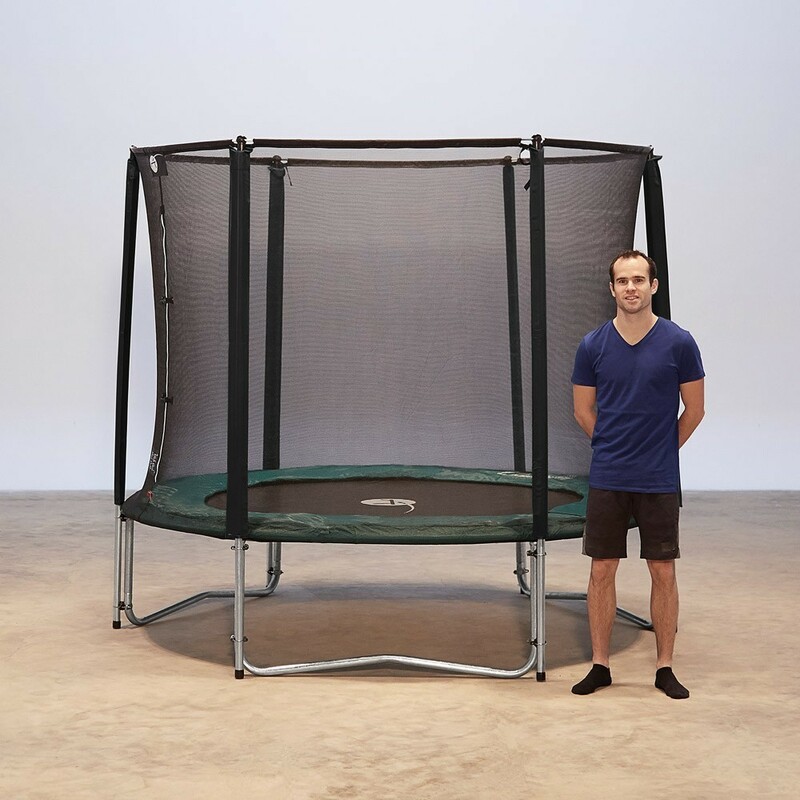 This trampoline can support weight up to 120 kg. 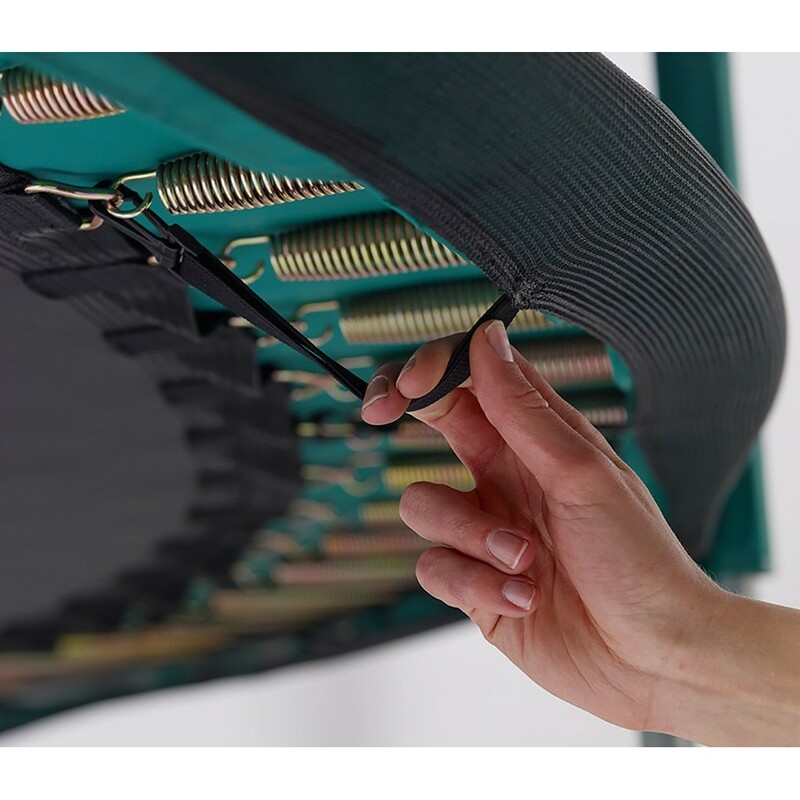 It is the smallest trampoline in our Jump’Up range and it concentrates all of the technical strengths we have gathered over our 45 years of experience. 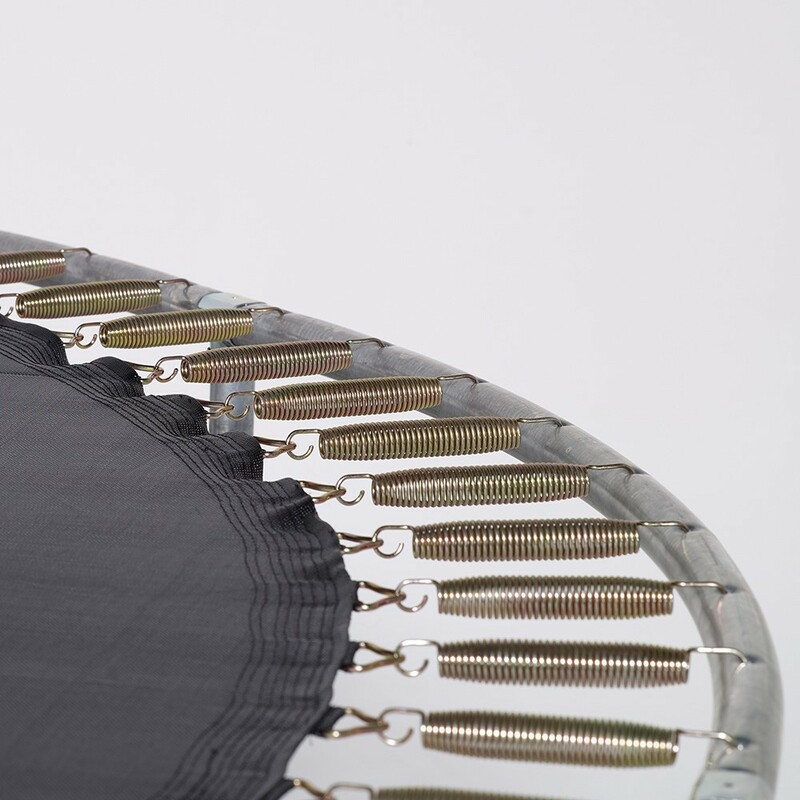 - This trampoline has 48 springs of 180 mm in length making it very dynamic. Shorter springs would reduce the bounce of your jumping mat and your children would very quickly get bored. 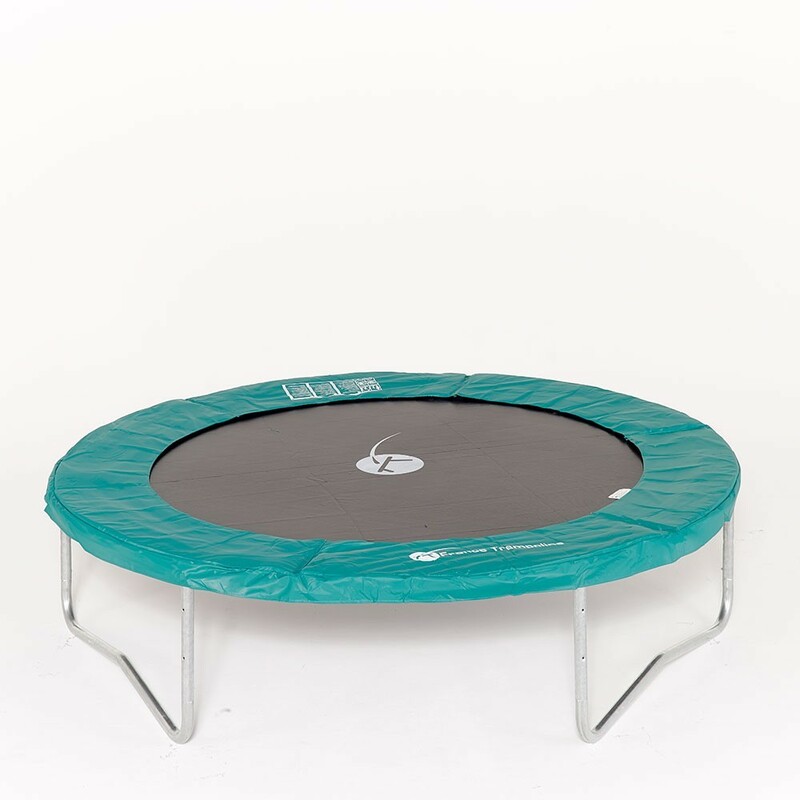 - Its framework is made of hot-dip galvanized steel meaning that your trampoline is weatherproof and can stay outside all year. - Our steel tubing has a diameter of 38 mm and a thickness of 1.5 mm. 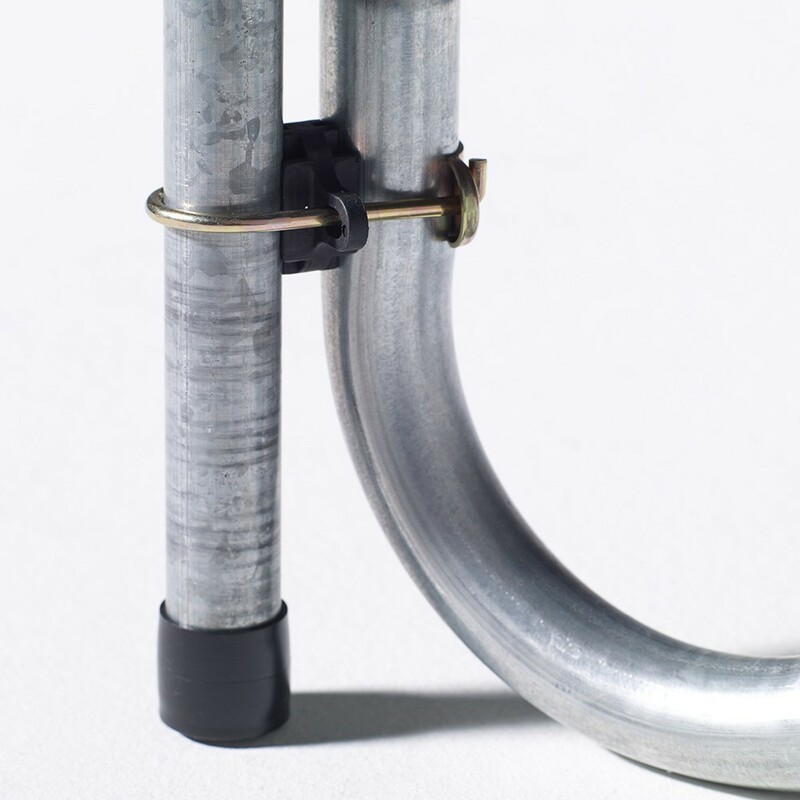 They are joined together using T junction components, which allow an increased strength in comparison to discount products where the components are welded. With time, welded pieces can weaken. 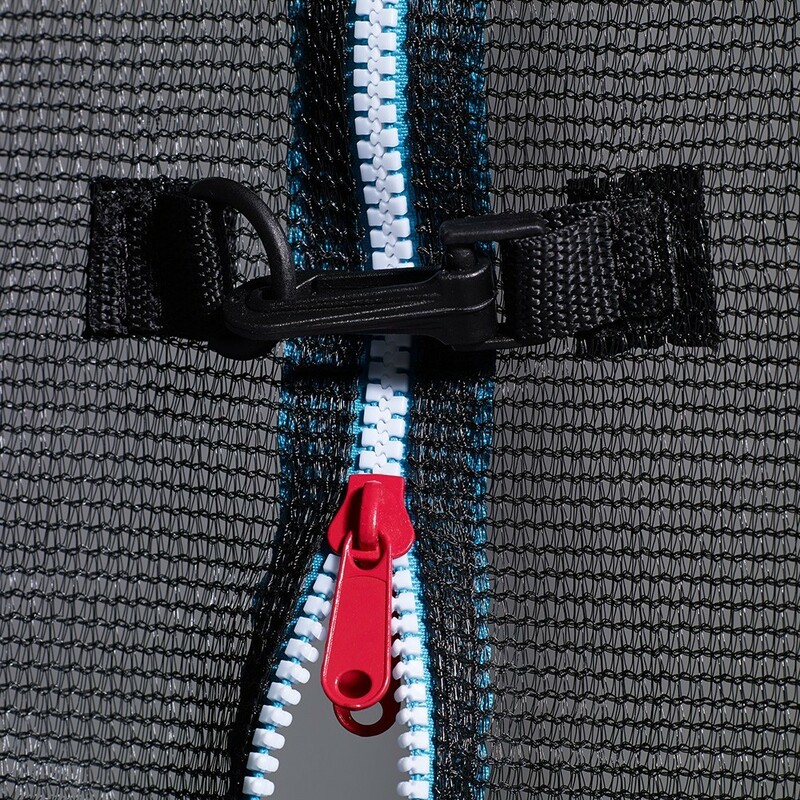 - The jumping mat is reinforced by 8 rows of stitching and a strengthening strip. This implies that the triangular rings maintaining the springs cannot be ripped off. 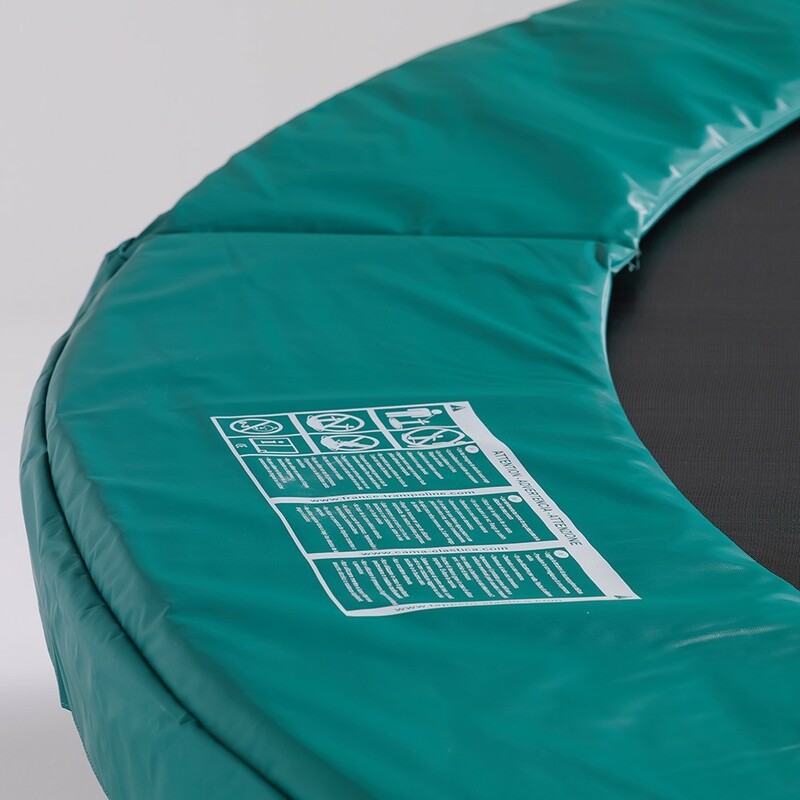 - Your trampoline comes with a green frame pad made out of EPE monobloc foam which is 20 mm thick and treated against UV light. The pad covers the springs and the beginning of the jumping mat. 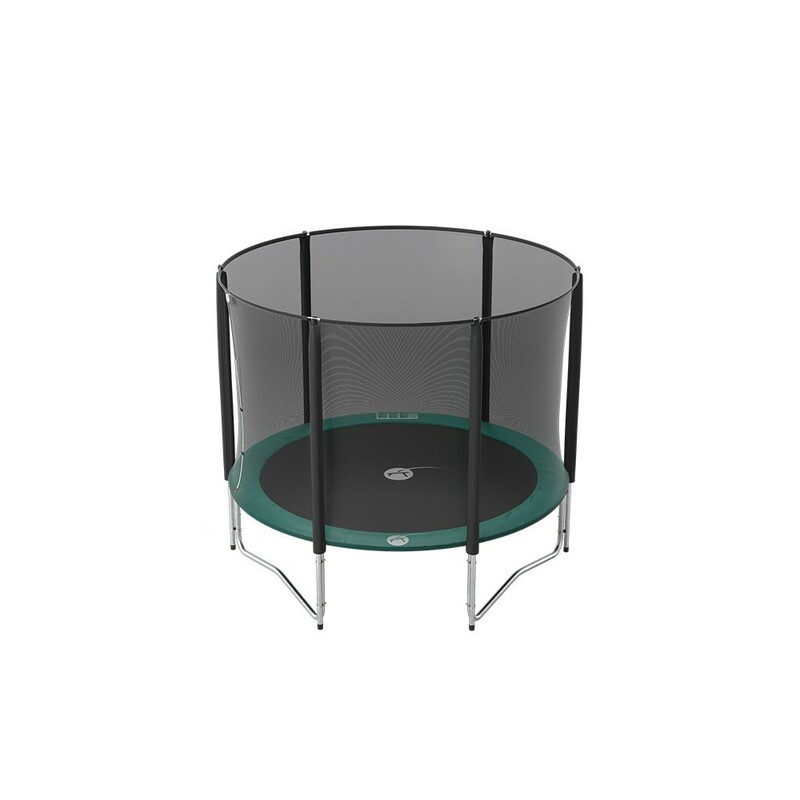 - Your children will be able to use the trampoline safely thanks to our enclosure. Its textile netting is held in place by the largest poles on the market: they have a diameter of 32 mm and are held in place by two fixing points which allow better resistance and safer conditions. The netting is very fine therefore a child cannot get their fingers caught in the gaps. 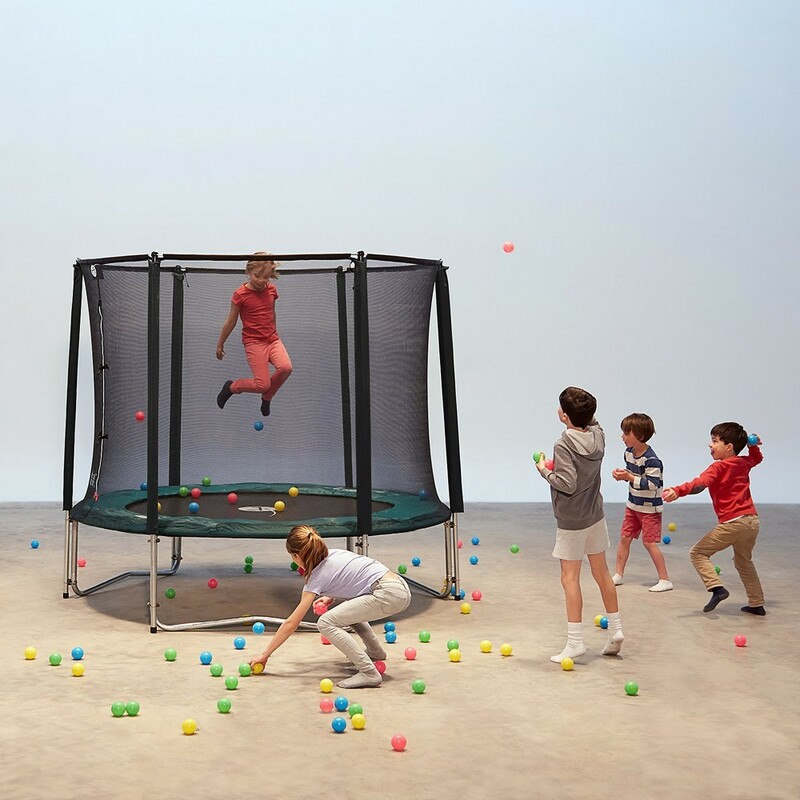 At the top, it is maintained by rigid fibreglass rods and at the bottom it is clipped on beneath the trampoline. 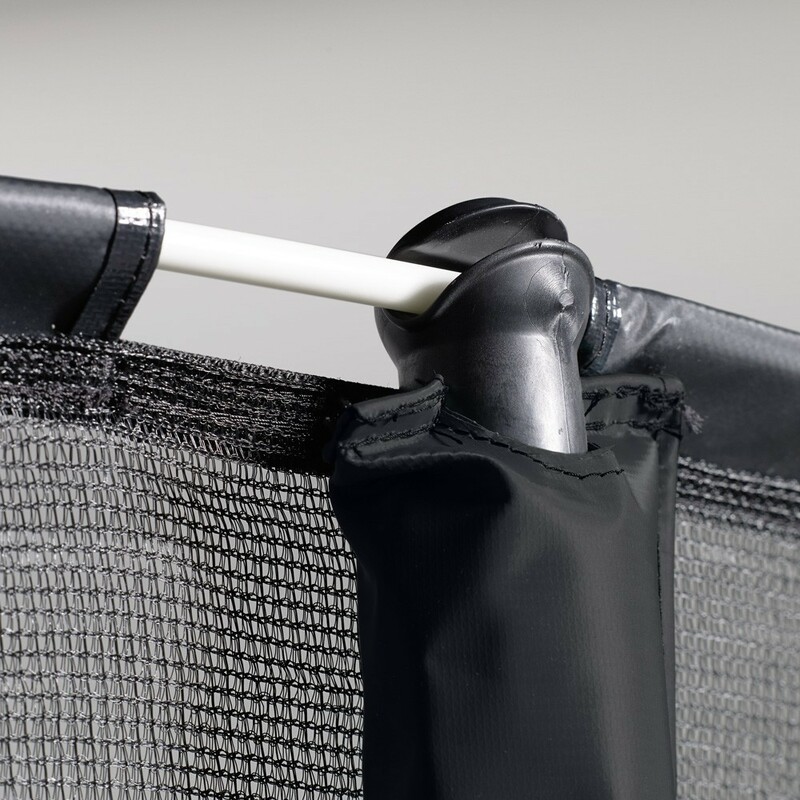 Our 8ft Jump’Up 250 Maxi pack includes the trampoline, enclosure, ladder, anchor kit and premium cover, allowing your trampoline to be protected from bad weather and solidly fixed in the ground. 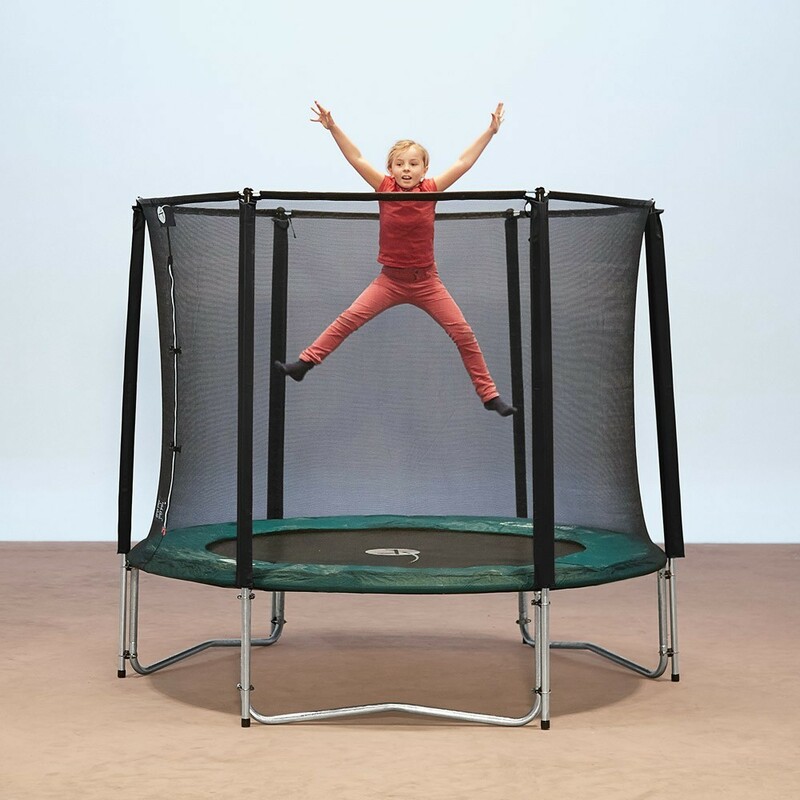 Its 2.44 m diameter will allow your children to learn to jump safely.